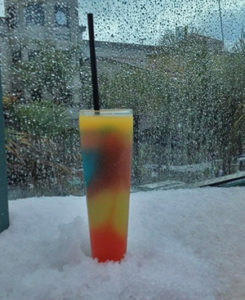 Peach on the Beach , Maui Melon,Rum Runner, Blue Hawaiian, Love in the Bucket, Malu Mango! Liqueur, Pineapple Juice & OJ. Ron Rio Light Rum, Dubouchett Creme De Banana, Raspberry Liqueur & Sweet & Sour. Ron Rio Light Rum, Fresh Mango Puree & OJ. Sauza Hornitos Tequila, Sweet & Sour, a splash of Gran Gala finished with a salted rim. Don Q Citrus Rum, Lime, Sugar & Fresh Mint shaken served on the rocks. 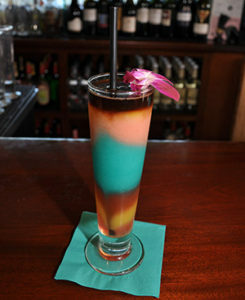 Malibu Mango, Myers’s Dark Rum, Dekuyper Amaretto & Pinapple Juice. juice, Grenadine & a river of Myers’s Dark Rum on top. Jump in & enjoy with (or without) your four closest friends! Complete with Valcano filled with Myers’s Dark Rum. Great way to get the party started. Flavors of juicy apple & pear with a buttery finish. Clean & fruity with apple & melon aromas. Bright tropical fruit & citrus with a crisp clean finish. Aromas of ripe dark fruit with dark cherry & plum. Rich luscious textures with a little spice. Sign up to receive timely, useful information about Aloha Grill & Huntington Beach Happenings!